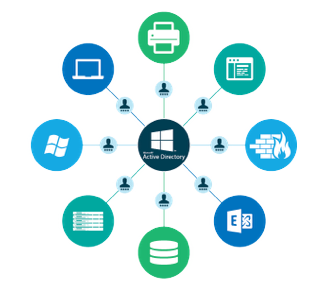 Everybody knows that Microsoft® Active Directory® (AD) is the king of the identity management space. For a variety of reasons, AD has been carving out its position at the top of the IAM mountain over the last two decades. But, we also know that Google is aiming to dethrone Microsoft from a number of markets. 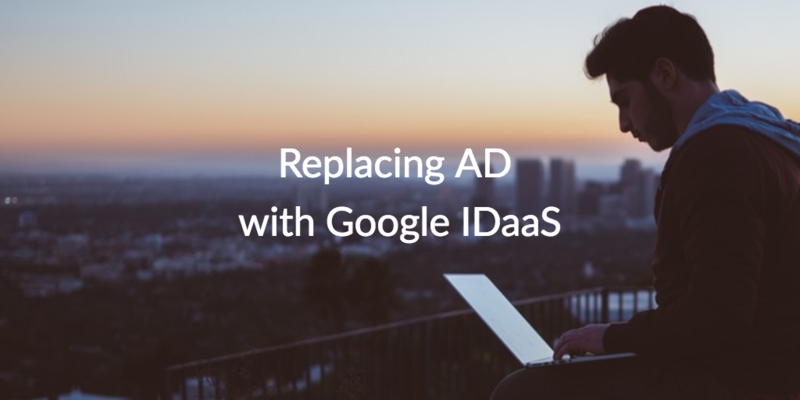 So, many IT admins are wondering if replacing AD with Google IDaaS (Identity-as-a-Service) heralds the end of AD’s reign. Well, the short answer to that question is no. Comparing AD with Google IDaaS is like comparing apples and oranges. Perhaps the more relevant question is whether AD can be replaced with a cloud directory? The answer to that question is yes. First, though, we need to explain why AD and Google IDaaS are two different types of solutions. Let’s start by digging into what’s been going on in the identity and access management (IAM) market. The modern IAM market commenced 20 years ago when Active Directory carved out its position as the core directory service for organizations. This happened because the vast majority of the IT resources were Windows®-based and on-prem when AD emerged in 1999. Active Directory was built to manage this exact type of environment, so it made sense that IT organizations quickly adopted AD when it was released. There wasn’t any driving factor for IT to shift away from Active Directory until the IT landscape started to change. Google introduced Google Apps (now known as G Suite™ ) and Amazon introduced AWS®. Both of these cloud services were game changers. Simultaneously, Mac® and Linux® devices started to become more popular. All of these changes started to put pressure on Active Directory as the core identity provider within an organization. IT admins started to need other solutions to complement AD and to cover for its inability to control non-Windows resources. A key solution that met IT organizations’ need was web application single sign-on (SSO) solutions or often called IDaaS platforms. These solutions would leverage AD user identities and enable those users to access web apps. With the explosion of web applications, these solutions soon became the hottest category of identity management, and Google couldn’t resist joining the frenzy. Can Google IDaaS be a Core Identity Provider? Google has recently jumped on the IDaaS market by recently releasing their version of it. You can consider it Google IDaaS, but they don’t necessarily call it that – they have other names for it like Google Cloud Identity and G Suite Directory. 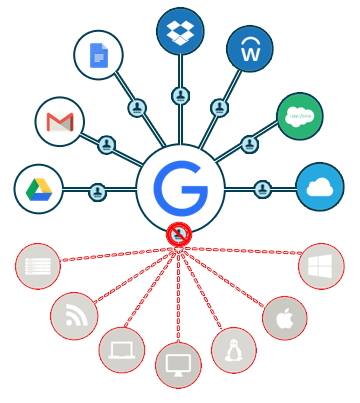 Either way, Google’s IDaaS solution is a user management platform for Google Apps, web application SSO to a few, select web apps, and iOS or Android devices. In short, replacing AD with Google IDaaS isn’t in the cards because it’s missing the ability to integrate with IT resources like networks, LDAP based IT resources, and Mac, Linux and Windows systems. For those IT organizations that do want an Active Directory replacement that’s delivered from the cloud, there’s another choice: JumpCloud® Directory-as-a-Service®. As a modern approach to cloud identity management, JumpCloud replaces Active Directory and tightly integrates with Google’s Identity Management approach. JumpCloud Directory-as-a-Service connects with virtually all IT resources, providing IT admins with One Directory to Rule Them All®. 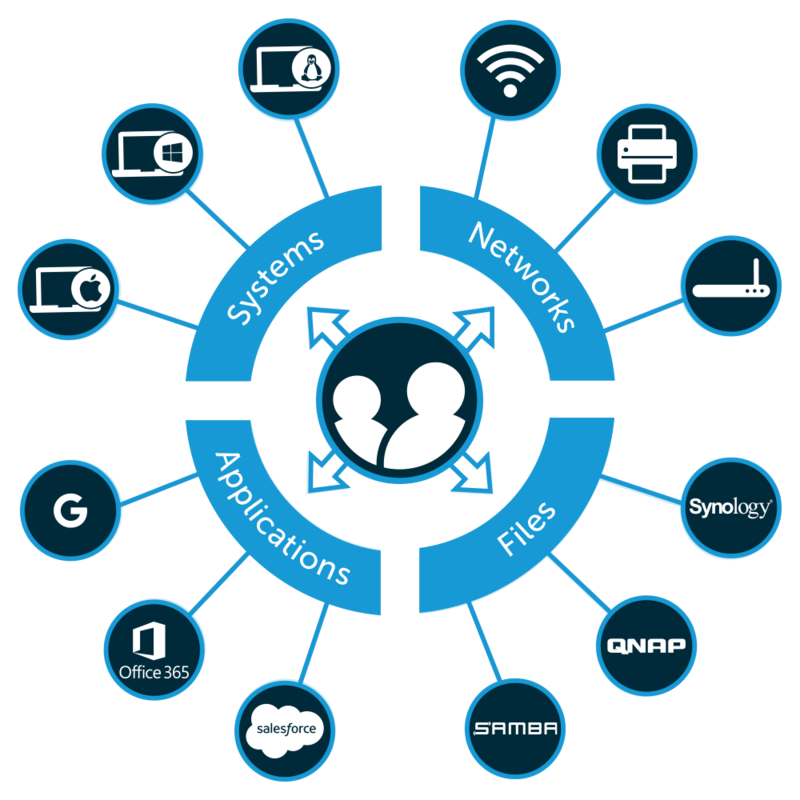 From a single pane of glass, IT organizations can centralize authentication and authorization to systems, applications, file storage, and networks. Finally, our identity management solution provides a secure, frictionless IT environment all from the cloud. JumpCloud doesn’t require any on-prem hardware or software. At the end of the day, our cloud-based directory service enables IT organizations to go all cloud, maintain a secure, optimized environment, and empowers end users to do their job better and faster. Do you have more questions about whether or not you should consider replacing AD wtih Google IDaaS? Don’t hesitate to drop us a note. We’ll be happy to walk you through why Google IDaaS isn’t the cloud AD alternative you’re looking for. If you’re ready to start testing what a comprehensive cloud IAM solution can do for your environment, sign up for a free Directory-as-a-Service account. The entire platform is available, and your first ten users are free forever. If you need any help along the way, consider watching our YouTube Tutorial playlist or browsing our Knowledge Base articles.